So I was sitting in my sound booth here at Charles D Owen High in North Carolina when my gmail bar starts blinking on Fire Fox 4 (anyone else like it as much as I do?) And it’s an email from my good friend: writer and director Brian Ross. 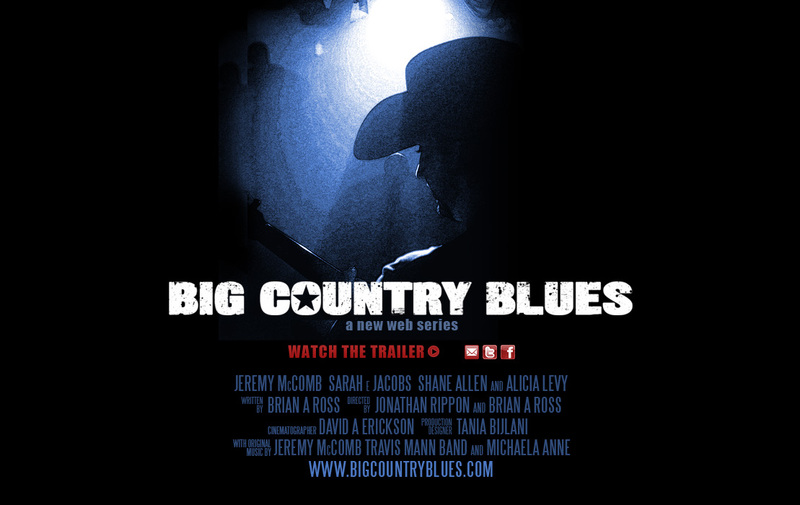 Turns out that his webseries www.bigcountryblues.com (that Ted and Reed both had a large hand in doing the production sound recording for) just won ELEVEN awards at the LA Webseries Festival 2011! Including outstanding drama series, writing, directing, acting and editing! This is especially exciting for me (Cory) because I did the picture editing for 3 of the episodes! Silver Sound will be doing the final sound design and mix. Hooo rah! BCB stars country sensation Jeremy McComb, and also features some pretty badass original country tunes. 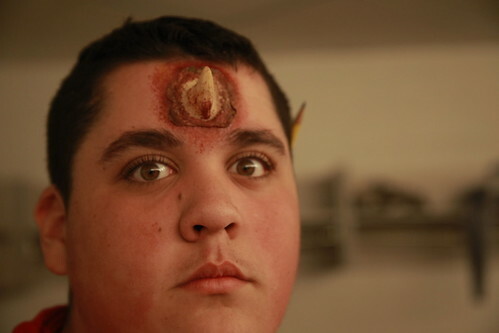 Today was Special FX make up day for the Warhorse Filmmakers! Silver Sound’s Cory Choy , DP Fletcher Wolfe, Producer Jeff Brody, and ridiculous Filmmaker Andrew Wonder are simultaneously teaching a high school film class at Owen High School in Black Mountain, NC and shooting a feature film with the students! What what? DANGER DAWGS AND ACADEMY AWARDS! Last week, fellow Silver Sound’er Ryan King and I spent quality time with some merry pranksters called the Danger Dawgs! This shoot was a pilot for MTV produced by our good friends at Laundry Service Media. It was a wild and hilarious day up on 48th and 9th at a Performing Arts School (whose alum include Britney Spears and Alicia Keys). Expect to find this crazy pilot, about some jackasses attempting to make a show like "Jackass", on Laundry Service’s website…and MTV’s as well! This is the FIFTH music video that we’ve produced! Director Matthew Pizzano and the band Lucius won the 2010 MVFF+BB! Here are two super sixties stills from the set of "Comatose." You can check out some of our other music videos here: PLEASURE TOWN by HANK AND CUPCAKES, TEENAGE WHORE by DINOSAUR FEATHERS, and HISTORY LESSONS by DINOSAUR FEATHERS. Big thank yous to DP Dave Erickson, Doug Emmett, Parlay Studios, Amy Bishop, and the rest of our amazing team! It was my pleasure to participate in another installment of The Listening Archive this week. This time it was with Lenny Kaye, the world-renowned guitarist and composer who is probably best known for playing lead guitar in the Patti Smith Group in the 70s and 80s. For this TLA episode, Lenny Kaye discussed his love for the score from the old spaghetti-western classic, The Good, The Bad, and The Ugly, composed by Ennio Morricone.